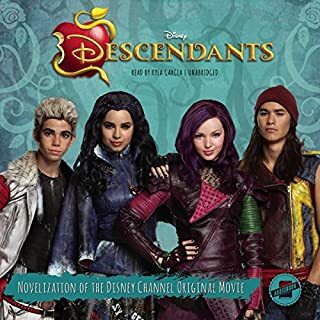 Explore Enchancia with Sofia the First, and sail the Never Sea with Jake and his crew. Help Doc diagnose her toy patients; hang out at the Clubhouse with Mickey, Minnie, and the rest of the gang; and have a roarsome time with Henry Hugglemonster! 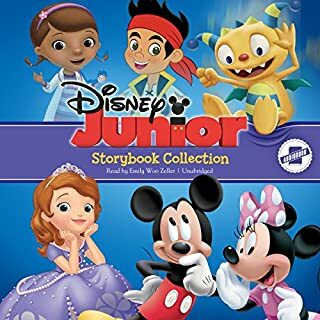 This fun-filled book features 18 stories starring your favorite Disney Junior pals! 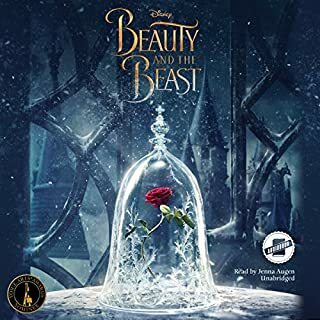 An all-new chapter audiobook series featuring stories about each Disney princess as a young girl! 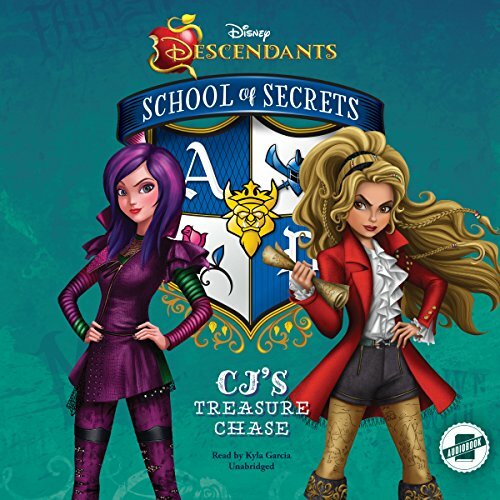 This audiobook includes Jasmine's New Rules, Tiana's Best Surprise, and Aurora Plays the Part. Join Rapunzel, Ariel, and Tiana for the fourth edition of this top-selling storybook collection, featuring 14 completely updated stories. 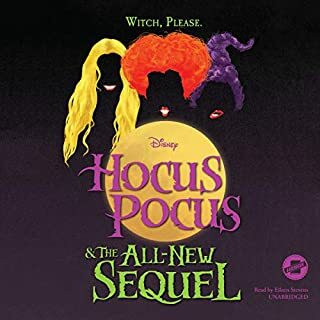 An all-new chapter audiobook series featuring stories about each Disney princess as a young girl! 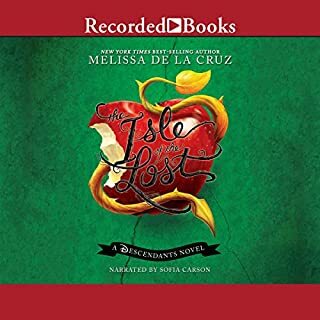 This audiobook includes the stories Cinderella Takes the Stage, Belle's Discovery, and Ariel Makes Waves. Disney-Pixar Incredibles 2 brings back everyone's favorite family of Supers in an exciting, hilarious, and heartfelt super sequel. Mr. & Mrs. Incredible, Violet, Dash, and even baby Jack-Jack encounter a brand-new nemesis who puts their powers - and their family - to the ultimate test! Riley is uprooted from her Midwest life when her father starts a new job in San Francisco. Like all of us, Riley is guided by her emotions - Joy, Fear, Anger, Disgust, and Sadness. The emotions live in Headquarters, the control center inside Riley's mind, where they help advise her through everyday life. As Riley and her emotions struggle to adjust to a new life in San Francisco, turmoil ensues in Headquarters. Although Joy tries to keep things positive, the emotions conflict on how best to navigate a new city, house, and school. In this fresh, funny new middle grade series, best-selling YA author Sarah Mlynowski writes for a younger audience for the first time! 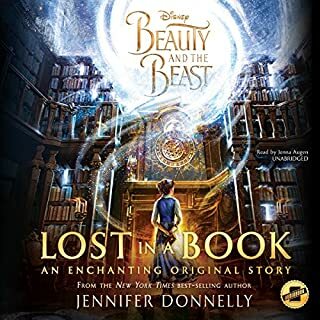 In each audiobook, Abby and her younger brother Jonah visit the magic mirror in their basement at night, and the mirror transports them inside a different fairy tale. In the first magical adventure, Abby and Jonah find themselves tangled in Snow White's story. Once there, they accidentally change key events in the tale! In order for Snow White to get her happy ending, it's up to Abby and Jonah to make things right. Princess Anna, Queen Elsa, Olaf the snowman, and all the stars from Disney's Frozen are back in an all-new magical series perfect for children ages six to nine. This five-book boxed set is the ultimate gift for any Frozen fan. ©2016 Jessica Brody (P)2016 Blackstone Audio, Inc.